Betgames War of Bets - A Dealer and Player battle. Who's your money on? 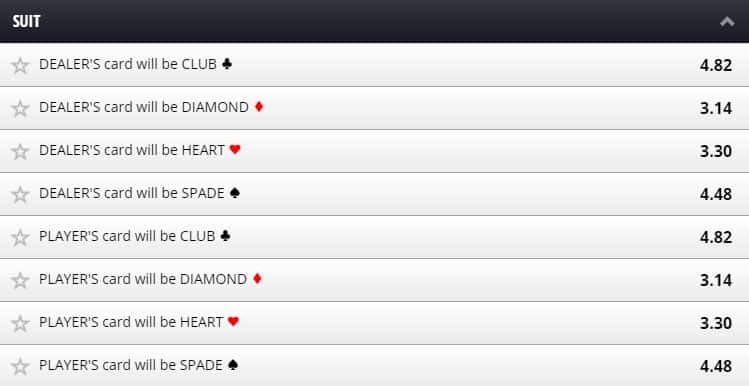 War of Bets is a straightforward of who has the highest card wins. If there is a tie, both hands lose. 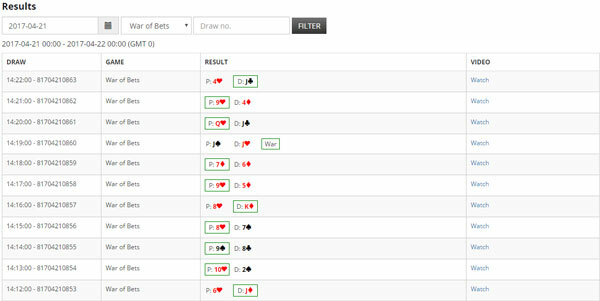 But the guys at Betgames have made it more interesting. The game is all about the betting. One card is dealt to the Player position. The dealer is then dealt his card. Whoever has the higher card, wins. Aces are counted as High, a two or deuce is the lowest you can get. The game is played with 6 decks of cards that have been manually shuffled before they are placed in the dealing show. The shoe is changed when there are approximately 40 cards left. Ties or “War” is declared if both hands are the same. What brings this game alive is the betting. There are two betting rounds, one before any cards are dealt and one after the player has received a card. You can bet on both rounds or just one and place as many bets as you like, the choice is yours. You can select the following betting options. The odds displayed here are before any cards have been dealt. War is a tie. 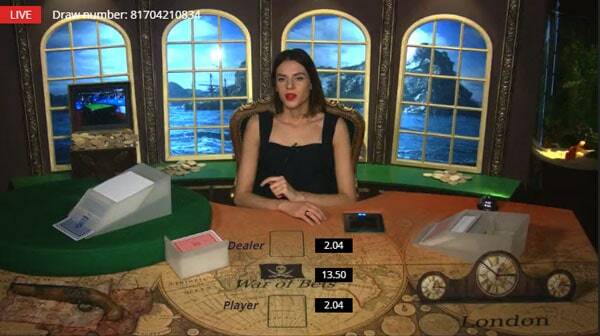 Bet on whether the dealer or players card will be Red or Black. Four options for each playing position. 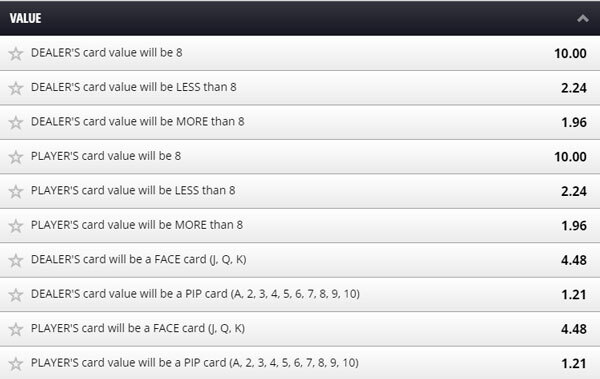 The odds are not all the same, because of the cards that have already been used during previous game rounds. These bets can seem a little more complicated. There is a few more options and flexibility, all fairly straightforward. Press “Place Bet”. It’s as simple as that. The results are displayed on the playing interface. Previous results can be viewed on the Results Pages, as displayed below. You can also select to watch a recording of the game round.